If you’re serious about climate change, you NEED to optimize for the weather station. The impact of the changing weather on our daily lives is becoming more important every day. Weather stations are used more and more widely. 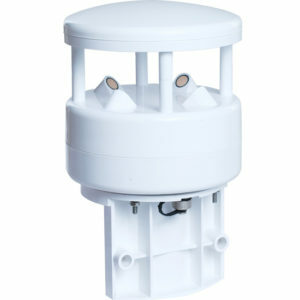 They are divided into indoor weather stations and outdoor weather stations. Now a huge weather station map has been formed all over the world. Large amounts of weather station data are generated every day. Well, In today’s guide, you’re going to learn everything you need to know about outdoor weather station or called meteorological station. Meteorology stems from a war, is it? In 1853-1856, in order to compete for the Balkans, tsarist Russia broke out the Crimean War with Britain and France. As a result, tsarist Russia suffered a defeat. One of the effects of this war was the birth of the first weather map in the world. Modern meteorology took the first step. The world’s first weather station. In Athens，Built more than 2,000 years ago, the Tower of the Winds is said to be the world’s first weather station. Used by merchants to tell the wind and time – even in darkness – the station is still standing on a slope on Athens’ ancient Acropolis hill and has been restored and re-opened to the public for the first time in nearly 200 years. 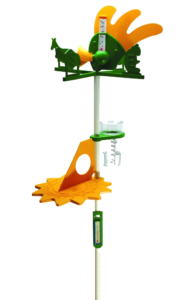 With the development of science and technology, the weather station mainly adopts the automatic monitoring method of the instrument, but it can not completely replace the manual observation. In the future, automated monitoring should be the mainstream way to achieve, but also the introduction of artificial intelligence, big data and other means to monitor the weather data applied to more places in people’s lives. 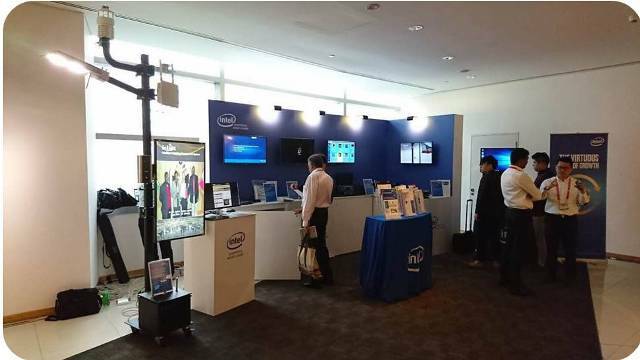 We can get the weather data from weather station app or related IoT instrument. 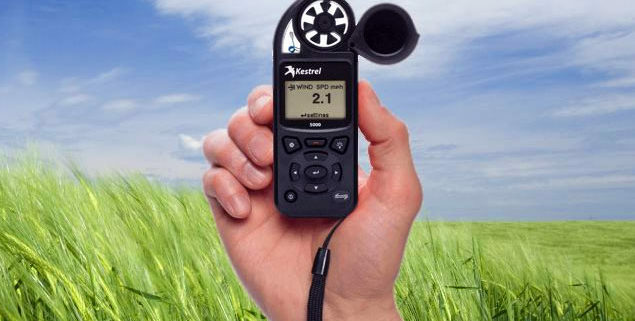 The handheld weather station is a portable, easy to operate, set a number of meteorological elements in one of the meteorological observation instruments. 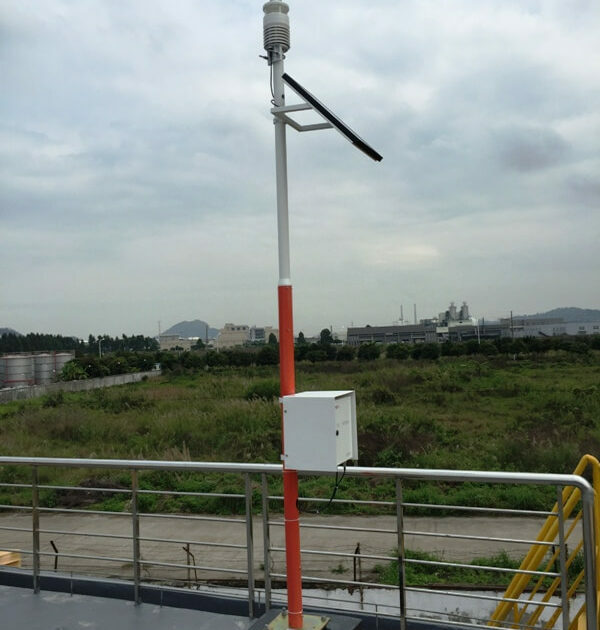 Early features mainly to measure wind speed, in recent years began to have other monitoring parameters, such as pressure, temperature and humidity, radiation, dew point, height and so on. A personal weather station is a set of weather measuring instruments operated by a private individual, club, association, or even business (where obtaining and distributing weather data is not a part of the entity’s business operation). These sensors can vary between models but most measure wind speed, wind direction, outdoor and indoor temperatures, outdoor and indoor humidity, barometric pressure, rainfall, and finally UV or solar radiation. Personal weather stations also typically involve a digital console that provides readouts of the data being collected. These consoles may interface to a personal computer where data can be displayed, stored, and uploaded to websites or data ingestion/distribution systems. Open source personal weather stations are available that are designed to be fully customizable by users. Home weather stations include hygrometers, thermometers, barographs, barometers and so on. This is more than a personal weather station’s function, the data will be slightly more accurate. Can be used in the manor, courtyard, community, weather forecasts can do conventional. Professional weather station is currently used by major scientific research institutes and the Bureau of Meteorology in the world. The data have passed the WTO accreditation or passed the metrological certification of the meteorological bureaus in various countries. This is a credible professional weather station. The professional weather station price is also more than the above types. 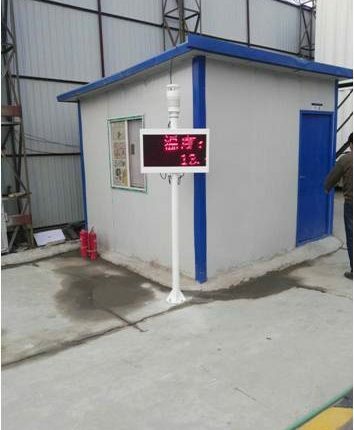 The main measurement of six weather parameters, including temperature, humidity, wind speed, wind direction, pressure, rainfall. 6 parameters monitoring items: atmospheric temperature and humidity, atmospheric pressure, wind speed, rainfall. 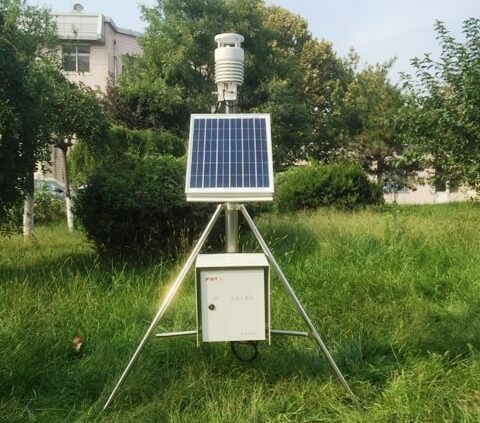 Mainly to monitor various types of solar radiation information: including the total solar radiation, ultraviolet radiation, scattering, direct radiation, vertical solar radiation, horizontal solar radiation, soil heat flux. Cloud monitoring: including the cloud height, cloud cover, cloud thickness, the number of clouds, vertical visibility information monitoring. 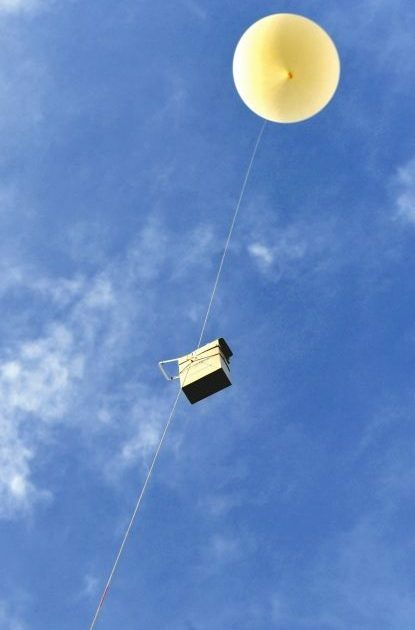 Radiosonde: Measure the altitude weather information by releasing the sounding balloon, including temperature, humidity, pressure and calculate the wind direction and wind speed value through the change of the GPS position of the balloon. 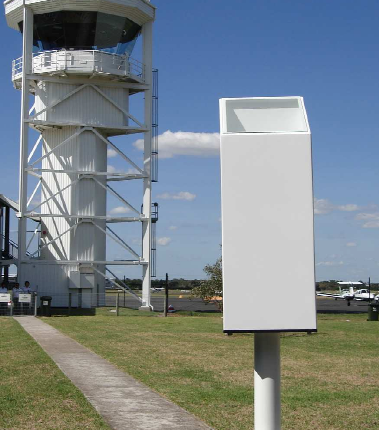 Visibility measure: Monitoring of atmospheric visibility information using the principle of forward scattering. 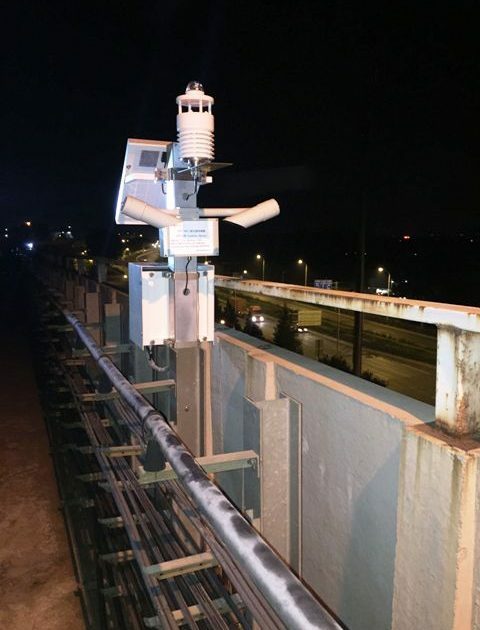 Monitoring of present weather: Determine the type of precipitation based on the water content of the precipitation, combined with information on the forward-scattered light and temperature measurements. Generate accurate weather type reviews based on WMO and NWS code tables, such as rain, snow, hail and more. Soil information to be monitored not only includes soil temperature and soil moisture, with soil moisture sensor or called soil moisture meter at different levels , But also soil pH, soil conductivity, soil salinity. Through the principle of electronic sensing lightning frequency, frequency, electric field strength, you can also calculate the specific location and distance of lightning. Plant leaf surface moisture levels of leaf infection bacteria have an important impact, the plant leaves a certain water vapor, it is susceptible to fungal and bacterial disease infection. The existence of the humidity on the foliage, the duration of the humidity and the influence of the wettability on the retention of pesticide pesticides to prevent and control pests are predicted by the electronic principle to predict the occurrence of the disease. 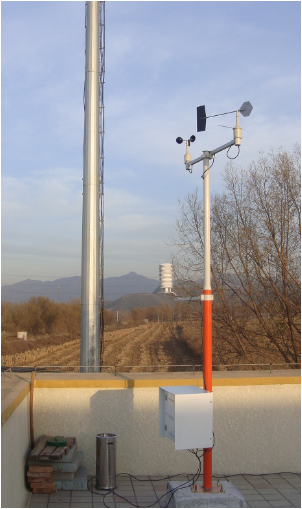 Weather stations are widely used in climate smart agriculture and have formed a discipline of modern agricultural meteorology. Their main research fields include crop weather, livestock husbandry, forestry, pest and disease, agricultural climate, cropland microclimate and microclimate improvement, Agricultural weather forecast, agricultural meteorological observation and instruments. Visible meteorological role in the field of agriculture is very large. Specific can be applied in the following typical scenarios. 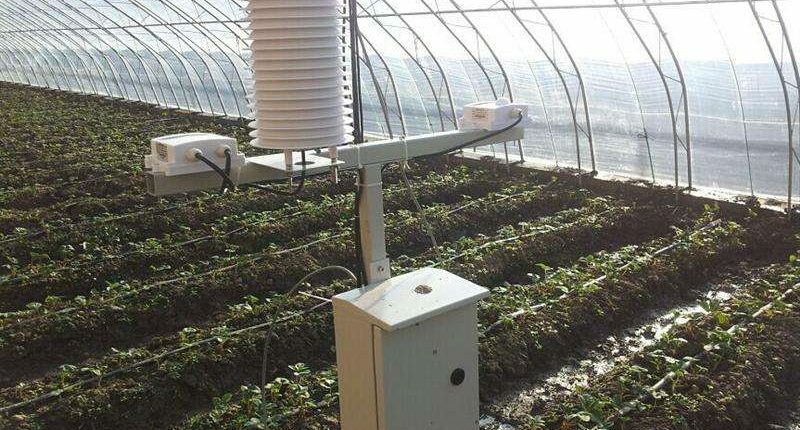 Mainly through the field of air temperature and humidity, soil temperature and humidity, CO2 and so on to monitor the growth of crops, can also be combined with automatic irrigation part of the formation of a complete agricultural meteorological monitoring system can also be calculated according to different factors of different crops pest warning model. Cloth placed in the interior of agricultural greenhouse, the main monitoring of atmospheric temperature and humidity, soil temperature and humidity, CO2, photosynthetically active radiation. 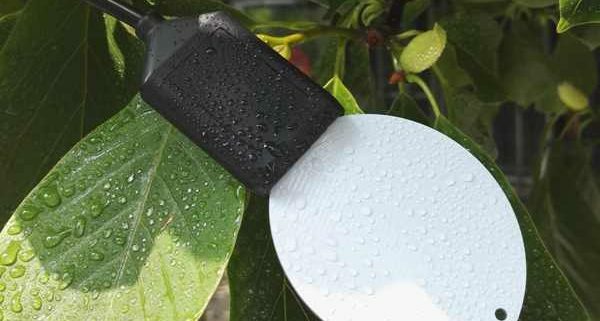 Mainly in all agricultural bases, especially apple orchards, vineyards, tea gardens and other bases for meteorological monitoring, monitoring the process of fruit growth, and to prevent frost and pests and diseases are of great significance. The grain storage depots deployed in various provinces and municipalities monitor the data of atmospheric temperature and humidity and can give early warnings in real time to prevent disasters such as dampness, mildew, pests and diseases from occurring in the grain. 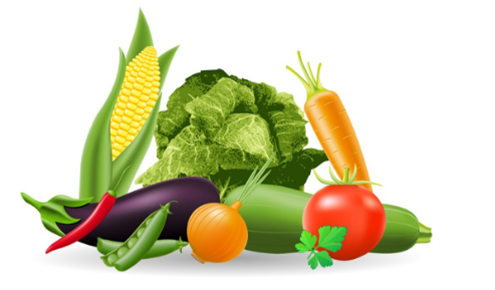 Agricultural insurance refers to an insurance policy designed specifically to protect agricultural producers from the economic losses caused by natural disasters and accidents during their farming and aquaculture production. Weather stations monitor the various meteorological parameters in order to provide data in a disaster situation and to identify preventative measures to eradicate future occurrences. The forest is nature’s natural oxygen bar, it is especially important for the attention and protection of the big forest. The growth and development of tree species and the distribution of tree species are affected and restricted by the weather conditions. Rational use of climate resources is of great importance to the development of forests and the protection of the natural ecological environment. 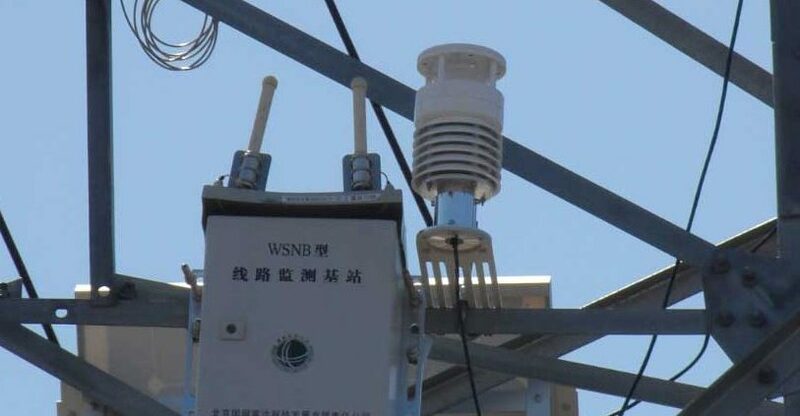 The monitoring of forest meteorological elements are: wind speed wind speed (wind energy to increase the transpiration of trees), temperature and humidity (forest vegetation composition and distribution of important factors), light (and species shade degree related). Forest fires are inseparable from forest combustibles, meteorological conditions and sources of ignition. In meteorological factors, precipitation, temperature, relative humidity, wind and other factors have a significant impact on the occurrence of forest fires, and is an important meteorological factor for calculating the forest fire risk meteorological grade. The security of the electricity supply of the national electricity is very important and relates to the people’s normal production and life. As long-term overhead transmission lines in the wild, often subject to external environmental factors, strong winds, heavy rain, snow disasters can not be avoided. These external factors will make the line short circuit, trip, inverted tower, power grid, residential electricity will be greatly affected. Transmission Line The micro-meteorological monitoring station is a multi-element micro-meteorological monitoring device designed to monitor the local meteorological environment in the transmission corridor. 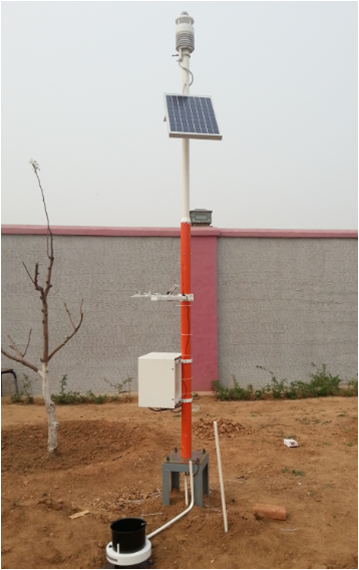 It mainly monitors the meteorological parameters such as temperature, humidity, wind direction, wind speed, pressure, rainfall and solar radiation. 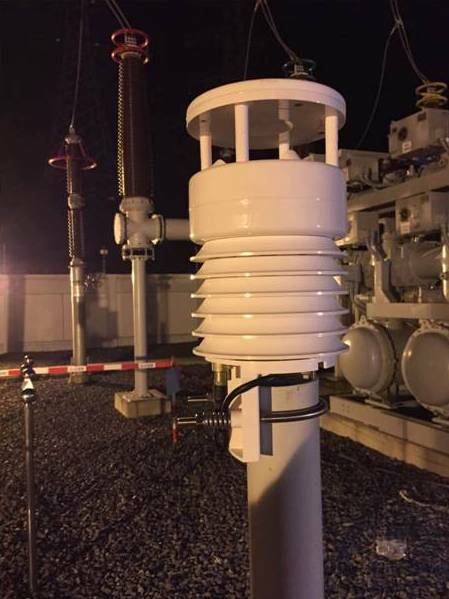 Substation weather monitor can dynamically display the real-time meteorological information around the substation to help dispatchers conduct comprehensive meteorological analysis, can also be used for automatic inspection of electric robots. In the design of photovoltaic power plants, the meteorological data have great influence on the power generation of the photovoltaic system. In the PV module series and parallel scheme design, we must consider the extreme temperature. 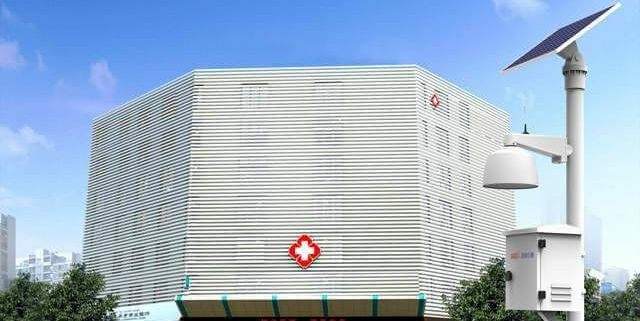 In design, according to the local wind speed, wind direction calculated wind pressure, will directly affect the design of the stent base. The measurement of the maximum snow depth will affect the design height of the lower edge of the component, otherwise the component may be buried in the snow; on the other hand, it can be used to calculate the snow pressure value. The solar radiation value is an important evaluation index of the PV power plant. 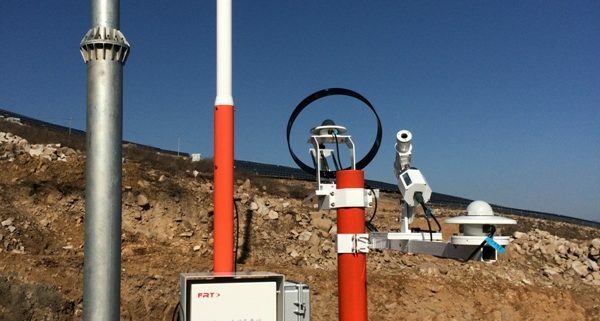 From the pre-site selection stage to the feasibility study and then to the final site monitoring, the radiation monitoring data of each step affects the power generation of the PV power station and serves as an important optical power assessment item. 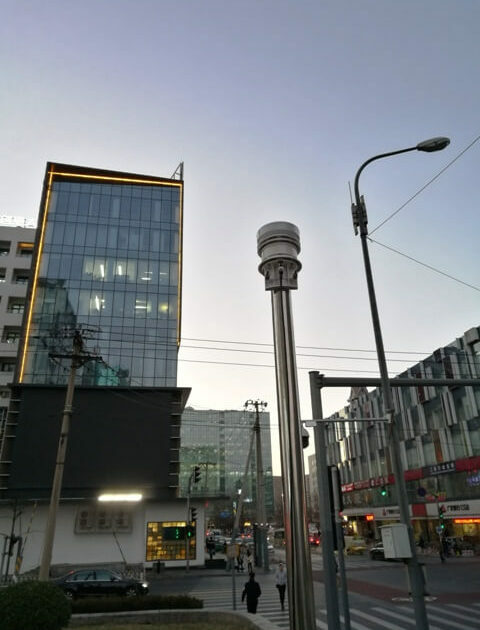 Mainly through the wind direction and wind speed gradient data to monitor and evaluate wind energy by building different height of the wind tower to measure wind power site selection and wind power generation power is of great significance. The importance of traffic safety on people’s travel has become more and more important, and the traffic weather station among them plays an increasingly important role. Mainly installed on both sides of the road to monitor the conventional weather elements, as well as traffic-specific visibility information and road conditions information, through the traffic information board for real-time display. 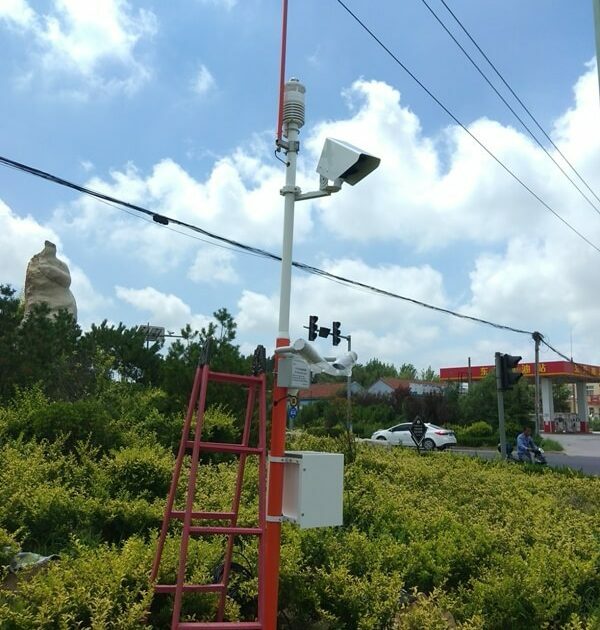 Mainly used in the line along the high-speed rail and subway lines, the main monitoring wind, temperature and humidity, solar radiation, rainfall and other information as a meteorological disaster prevention and mitigation system for rail transit safety travel to provide theoretical support and travel security. Mainly used in the vicinity of the port and the shipping vessels to monitor weather information to ensure the safety of waterway operation, if installed on the ship, the need for additional electronic compass and GPS northing and positioning, measurement based on weather 6 parameters and visibility information. Mainly used in the runway around the civil airport, monitoring weather information to ensure the flight departure and landing safety, in addition to conventional weather information, the need for additional monitoring cloud level and runway level visibility information. The data observed at the coastal and island observatories reflect only the situation in the offshore and in the coastal waters and do no good to ocean navigation. 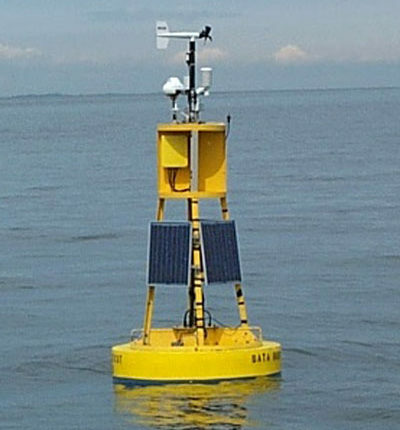 Ocean Buoy is an unmanned automatic marine observatory that continuously collects marine hydrological and meteorological data needed for marine scientific research, offshore oil and gas development and port construction. In particular, it can collect adverse weather conditions that are difficult to collect by survey vessels and Information on the sea condition. 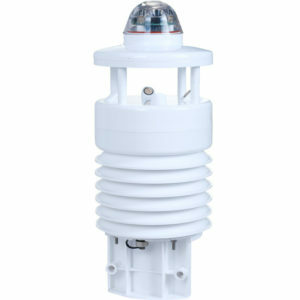 It mainly adopts integrated meteorological sensors. 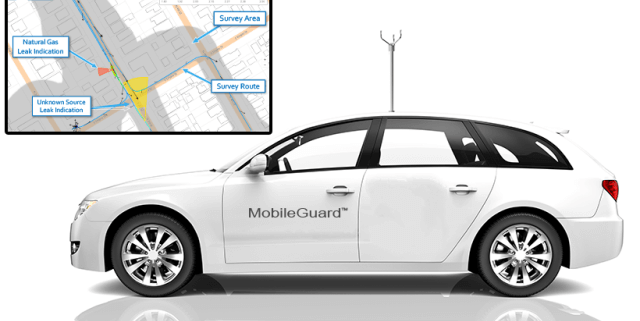 It is used in standard and large-scale air quality monitoring systems all over the world to monitor meteorological information. It mainly monitors five weather parameters including wind direction, wind speed, temperature, humidity and air pressure. Dust on the construction site has seriously affected the urban air quality index. In order to reduce the dust pollution on the site, the dust monitoring system has been deployed on various construction sites. 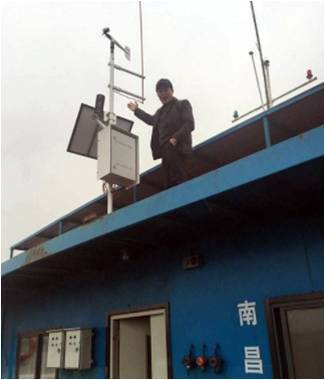 The main monitoring system: wind direction, wind speed, temperature, humidity, pressure, PM2.5, Pm10, noise. 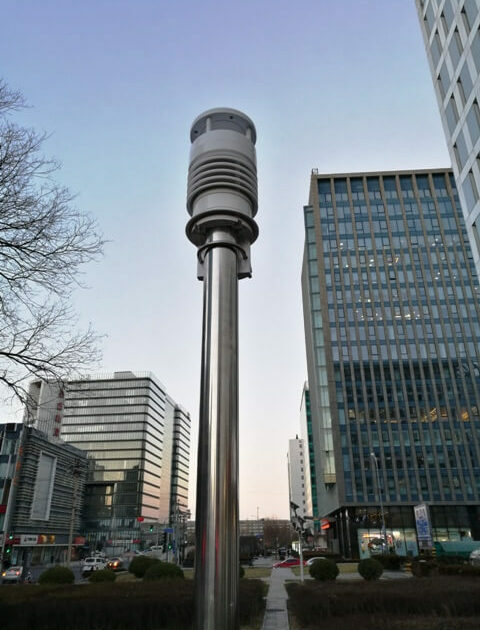 Because of the high cost and complex installation of conventional large air quality monitoring stations, it is not suitable for a wide range of gridding locations, so the urban micro-environment monitoring station has become a mainstream application trend. 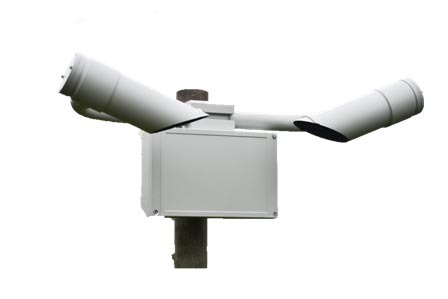 Meteorological monitoring stations used in micro-air quality monitoring stations, mainly to monitor wind speed, wind direction, temperature, humidity, pressure. The trend of pollution sources and pollution trajectories can be effectively monitored. UAV is an important means of emergency monitoring and remote sensing monitoring, the meteorological sensors mounted on the drone, you can achieve real-time monitoring of contaminated areas, to avoid personal injury. 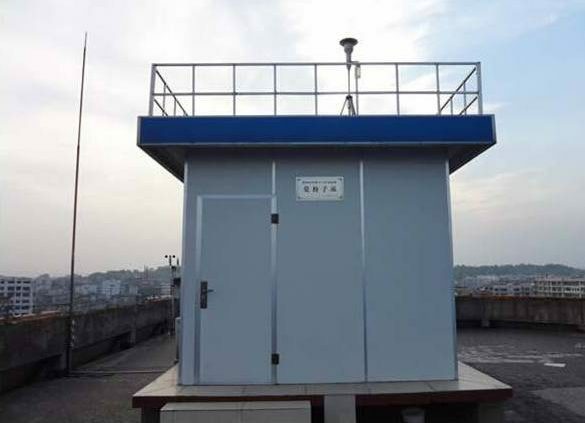 Meteorological monitoring are: temperature and humidity, pressure data, the main environmental monitoring There are: CO, O3, NO2, SO2, Pm2.5, Pm10 data. Smart city is a big application direction, very popular, smart city programs widely used in various countries and cities, but also cover most of our production and life scenes, from us is the most recent, the deepest feelings. 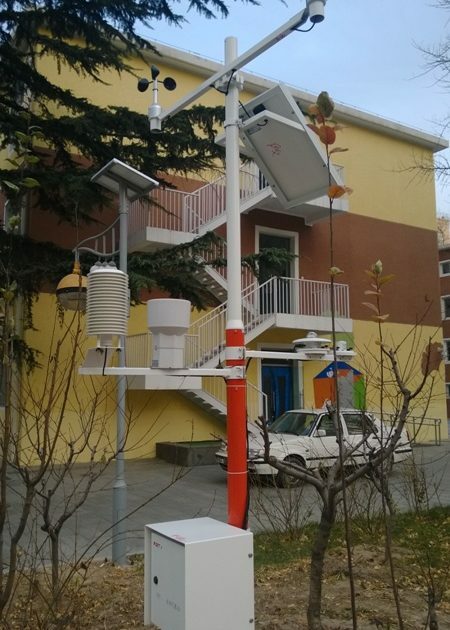 At present, smart LED street lamp system as an important entry point for smart cities can not only adopt LED for high-efficiency and low-energy lighting but also release information and 5G communication carrier to collect weather data (including wind, temperature and humidity, rainfall, PM2.5, etc.) ), Can also be used as a smart charging pile. Take the TEDA as an example. 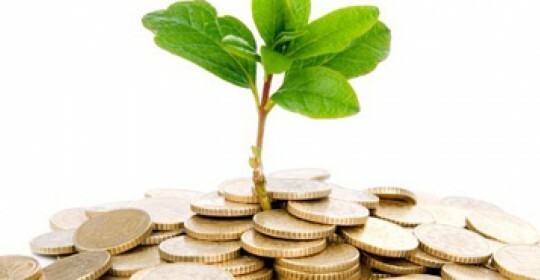 At present, all major cities have their own special economic zones or development zones. Many enterprises in the park, many kinds of complex, many of them there are chemical plants, logistics parks, CMC and residential areas. There are potential safety hazards such as toxic gas leaks and fires. After the safety education and preventive measures are strengthened, environmental monitoring and intervention should also be strengthened. Main monitoring PM2.5, harmful gases, such as Voc. The smart community is a rapidly developing industry in recent years and belongs to the Internet of Things category. When building new communities and improving the support of old communities, we can combine the characteristics of this community with the setting of meteorological environment monitors. Community staff can access real-time information about the environment around the community, travel guide and exercise schedule through the Internet and mobile APP. Monitoring the main parameters are temperature, humidity, wind direction, wind speed, Pm2.5, noise and so on. 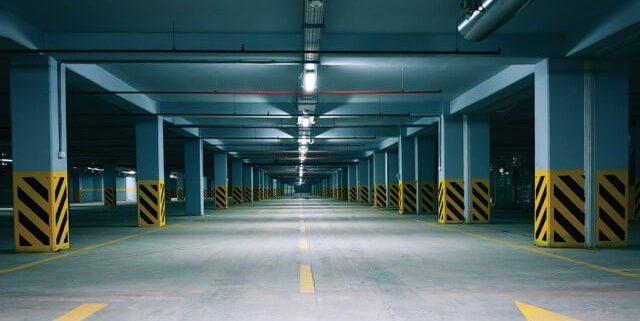 Intelligent building is a new and emerging industry application that learns environmental data such as CO2, PM particulate matter sensors, noise monitoring, meteorological monitoring by laying different types of sensors in the building. The hospital is a life-saving station in every city, and it is also an overcrowded area. If the hospital has a gas leak or vandalism, the consequences will be disastrous. The meteorological environment monitoring device will be deployed in the designated area of the hospital to monitor the real-time status of the key area environment in real time. At the same time with the emergency response system convergence, to complete the “smart hospital” system. The main monitoring temperature, humidity, Pm2.5, harmful gases, noise and so on. The park is a public place for people to rest and rest. The environmental quality in the park directly affects residents’ subjective enthusiasm for leisure and fitness. Meteorological and environmental monitoring equipment will be located in the park, real-time data sent to the park network platform, so that people can be the first time informed of the park environment, the next exercise program to make a decision. More and more urban vehicles, parking lots will be more and more, but the air quality of underground parking is very worrying. Meteorological and environmental information used in the parking lot main monitoring: wind direction, wind speed, temperature, humidity, Pm2.5, CO and other information. Now we are widely used clean energy — gas, such as the application of energy in the vehicle, home heating or gas cooking, gas leak monitoring is particularly important. By monitoring the wind direction and wind speed, gas leakage and diffusion can be modeled and analyzed to determine the leakage trajectory. 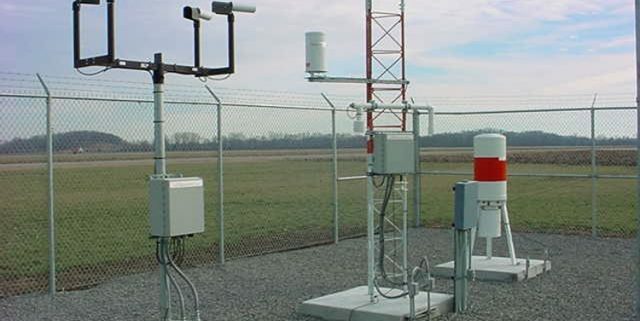 Modern weather station is an electronic equipment, which can automatically collect various meteorological elements data, including wind direction, wind speed, temperature and humidity, air pressure, rainfall and so on. How Long Is the Working Life of Weather Stations? 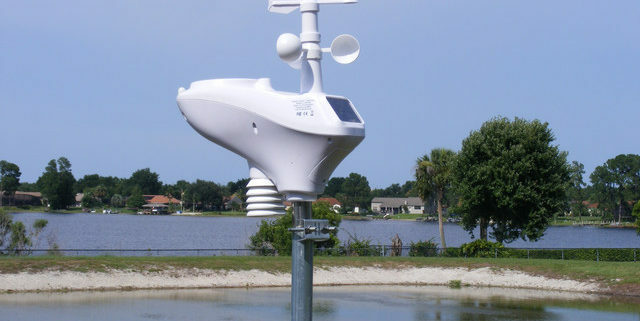 Weather stations vary in variety and cost. The working life of general professional weather stations is 6-8 years, but the working life of general home weather stations is 1-2 years. According to the usage and price, the service life is different. Does the weather station need to be calibrated? Strictly speaking, all weather stations need to be calibrated regularly in professional laboratories, especially those that publish meteorological data to the public. Generally, the calibration period is once a year. 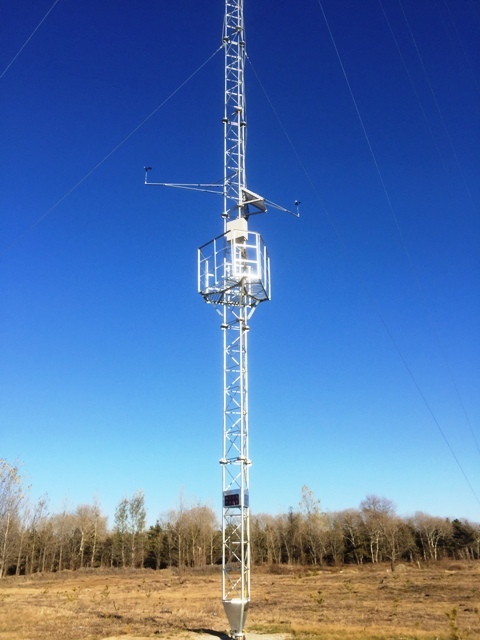 However, in fact, many meteorological stations are not calibrated regularly because of the cost and tedious process, but only when the equipment fails to maintain. Now, with the development of technology, the real-time accuracy of data can be ensured through cloud calibration. How About the Price of Weather Station? The price difference between meteorological stations is very large, ranging from tens of dollars to thousands or even tens of thousands of dollars. So we must first confirm the detailed usage of weather stations, and then choose the appropriate weather stations, weatherstation 1.com can give you the most professional advice. 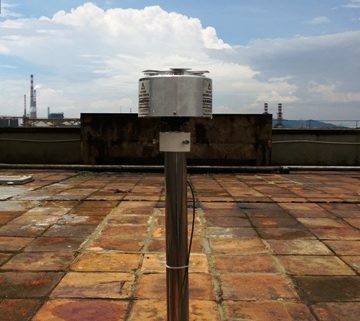 Does the Weather Station Need To Be Maintained? Generally speaking, weather stations need to be maintained regularly, such as cleaning bearings of wind sensors and replacing grease, cleaning up debris gathered in rain gauge barrels, etc. However, now, there are professional maintenance-free integrated weather stations, which can be easily used, so that users can experience the joy of maintenance-free. You can send the further requirement to [email protected].